Let's make something! Create your very own farmyard, or play dress ups with these fun craft tubs, jam-packed with creative fun. Comes complete with template sheets and instructions. All you need are scissors, glue, cardboard rolls, a pencil and sticky tape. 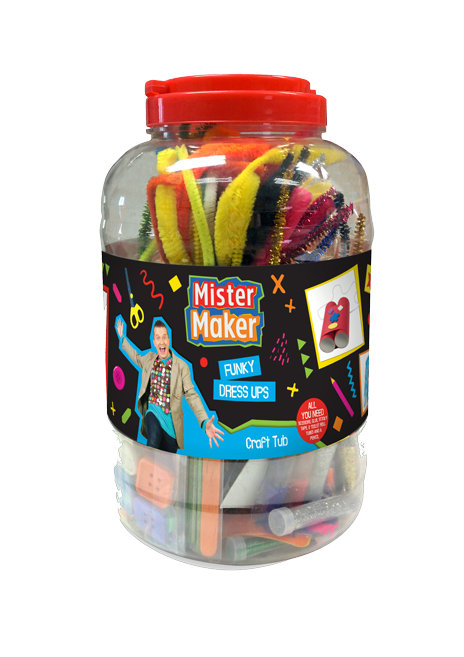 Dress Ups contains chenille stems, plain masks, elastic, pom poms, googly eyes, feathers, sticky foam shapes, wool, shredded tissue paper, coloured paper, foiled corrugated card, coloured card, instructions and a template. All you need are scissors, glue, cardboard rolls, a pencil and sticky tape. 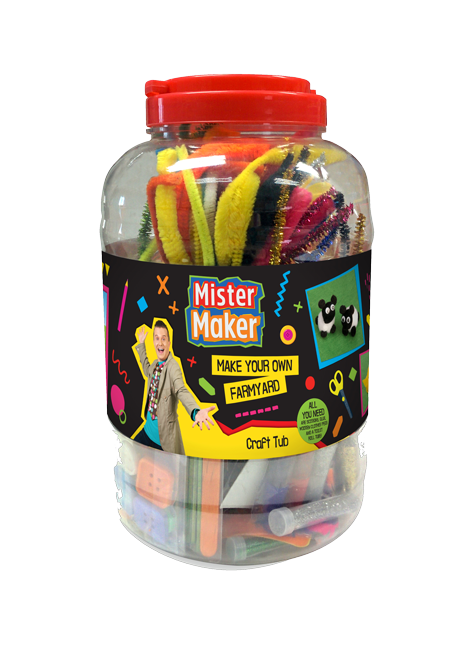 Make Your Own Farmyard contains chenille stems, felt sheets, pom poms, googly eyes, feathers, coloured markers, shredded tissue paper, wooden sticks, corrugated card, coloured card, instructions and a template.